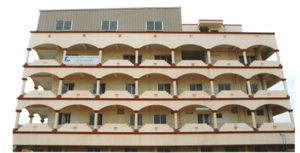 Billroth College of Nursing is located in serene location on Poonamallee Highway Road at Maduravoyal, Chennai. The college building measures more than 20000sq ft (18 grounds) with all infrastructure facilities including auditorium, class rooms, Nursing and Science labs, library & games field. The college has existing parant hospital with the capacity of 400 beds measuring 1,20,000 sq ft at Shenoy Nagar with various specialties. It also has a branch at R.A. Puram with the bed capacity of 103. The college is located at a distance of 6 km from the parant hospital. However, the trust also under its possession of a sprawling campus measuring 55 acres at Poonamallee where the proposed College of Nursing is planned to be constructed with world class infrastructure. The college has collaborative arrangements with various specialty hospitals & Community centers to cater the needs of the students. Admissions: The number of applicants both male and female aspiring for nursing is increased considerably due to the demand for nurses in India and abroad. Our sanctioned intake at present is 50. Seventeen students under the management quota and 33 under the government selection. The need for increasing admission from 50 to 100 is in progress. Infrastructure: College has the state of the art facilities with adequate class rooms, fully equipped laboratories to learn and practice. Faculties enable the students to attain the desired learning out-come before their postings in the clinical area considering the complexities of the procedures.